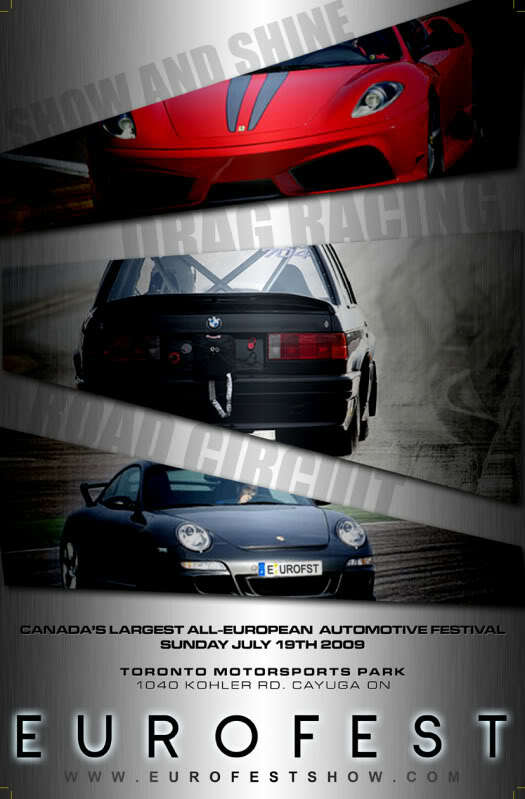 EuroFest would like to invite AudiForums to our all-Euro automotive festival on Sunday July 19th, Toronto Motorsports Park, Cayuga ON. This exclusive event features some of the finest, rarest and most spectacular automotive machinery manufactured with prodigious sole and passion from leading European manufacturers. Over 100 trophy classes for the show & shine, drag-racing grudge matches, road-circuit lapping and time trials, rolling road (dyno) testing, kids play-park, dog run and vendors make countless hours of entertainment for the entire family. We would like to announce a fabulous opportunity to win a custom $10,000.00 HRE wheel & tire package at this year’s show. One lucky winner’s admission stub will be selected during the trophy ceremony on Sunday July 19th, 2009. Proceeds from this special offer will go to charity. Wheel size & style up to the winner (equal or lesser value).